This year the "Mar Vista Community Fall Festival and Silent Auction" is supporting the annual "Strut Your Mutt” event, which is being held at Exposition Park on the morning of Saturday, October 22nd, 7AM -1PM. The events are timed so that supporters can attend both in support of clearing our shelters and saving the lives of our animal friends. 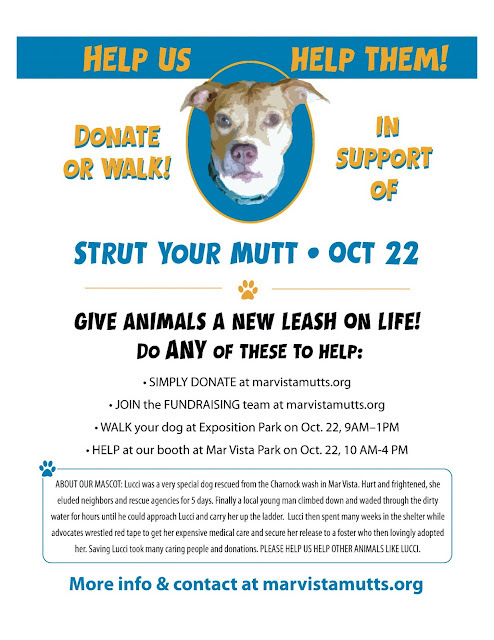 "Strut Your Mutt” is the day all of the animal rescue organizations come together to promote the cause of saving the lives of thousands of animals in our shelters across the city. 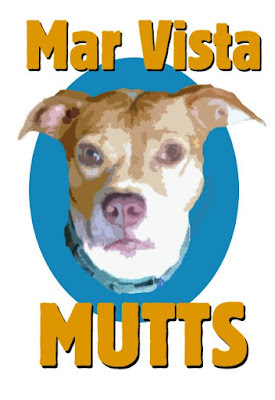 In support of the cause, the Mar Vista Community Festival will also feature numerous animal support and awareness booths including a “Strut Your Mutt” booth, sponsored by Best Friends Animal Society. Click here to join the “Mar Vista Mutt” team, or to make a donation. Please spread the word to your animal friendly friends! Let's make Los Angeles a No Kill City!